Tools for School is Back! Come and join us equip these kids for learning! How? 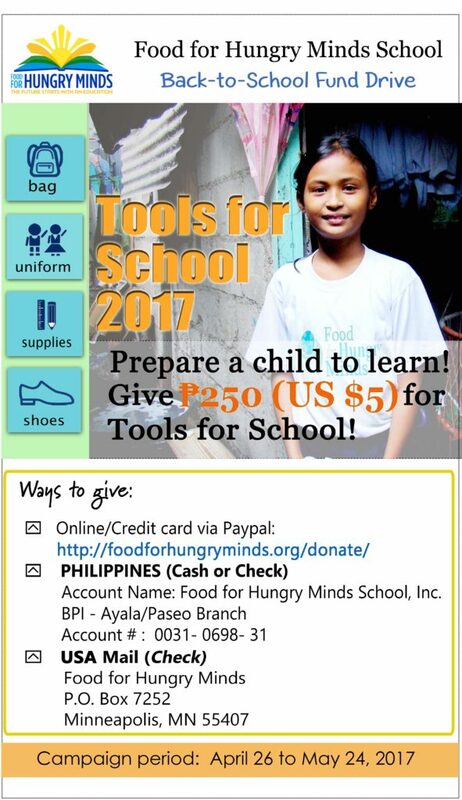 Click http://foodforhungryminds.org/donate/ to give via PayPal.